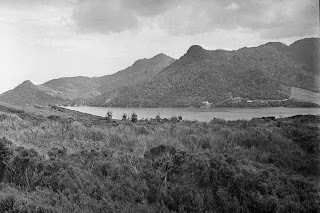 Huia Lodge embodies International Day for Monuments and Sites, which was celebrated on 18 April. 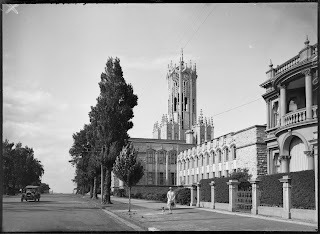 Auckland Council joins in this worldwide celebration every year by raising public awareness of the diversity of cultural heritage places in the Auckland region. This year’s theme is the ‘Heritage of Education’. Not to be confused with Huia Lodge in Cornwall Park, this Huia Lodge is located at Huia in the Waitakere Ranges Regional Park. It started life as a rural school in 1893 until it closed in 1961. It then became a church camp, before being run as a school camp by the Auckland Regional Council from 1990 onwards. Huia Lodge is a scheduled heritage building (see p.49) in the legacy Waitakere City District Plan. It is publicly bookable facility with the schoolhouse used as the kitchen/dining/living space, and a separate block nearby for sleeping. It is great to see this historic building continue an educational role, with interpretation highlighting its former school days added last year by Regional Parks staff. If you fancy celebrating this international day and expanding your knowledge of Auckland’s history at the same time, you can take the University of Auckland Heritage Trail. This gentle self guided meander around town will take you past many architectural and historic attractions of the city campus and surrounding areas. The trail was gifted to Auckland City by the University of Auckland Business School in 2005, the University’s Centenary year. A number of the heritage places that you will come across in the trail are protected by Auckland Council and registered by the New Zealand Historic Places Trust. Enjoy!